It is a debilitating reality that every major defence purchase over the past three decades has been clouded by politically-induced allegations of underhand dealings ~ even though few of the alleged culprits have actually been nailed. One exemplary facet of the functioning of the armed forces had been ~ until now, anyway ~ that military professionals had made determined and consistent efforts to steer clear of those controversies. 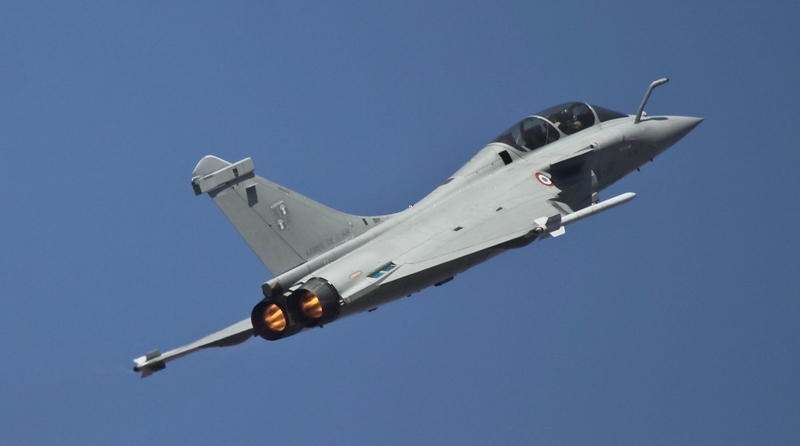 Hence questions do arise over the defence mounted by the Deputy Chief of the Air Staff of the purchase of Rafale combat aircraft from France in an arrangement worked out during Mr Narendra Modi’s visit to that country a couple of years back. A charitable view of Air Marshal’s Raghunath Nambiar’s observations at a recent media interaction would be that the IAF was so concerned over its depleting combat fleet that he tried to clear misapprehensions which could further delay acquisitions ~ a plea for a “stay” is pending in the apex court. A less charitable view is that the senior officer has been drafted into the orchestrated campaign to negate the assault on the purchase mounted by the Congress party, and a couple of ex-BJP dissidents. Either way the turbulence could intensify, the ultimate loser would be the IAF ~and the national security effort. While a serving officer might have been expected to limit his “expertise” to the technical quality of the Rafale ~ that has not really been queried, though how just 36 units will boost the IAF’s capabilities is questionable ~ the Deputy Chief meddled with the pricing mess: “We are the ones who were very much part of the negotiations with the French government, and we have the facts with us. And I don’t think what is being alleged matches up with the facts at all”. If he was so sure of the facts ~ normally the forces leave price-negotiations to the civilians in the defence ministry ~ why does he not offer a price estimate that would put the controversy to rest? Much of the trouble is the result of the defence minister’s back-tracking on her assurance to disclose the prices to be paid, and her subsequent claim that the “secrecy clause” (common to most defence deals) prevented any announcement on prices. To put it bluntly: the Indian taxpayer must be kept ignorant of how his money is being spent. That flies in the face of transparency and accountability in governance. Air Marshal Nambiar has strayed into areas the forces have customarily avoided, the fall-out of that could be unpleasant for the IAF. Time was when senior officers preferred to keep their lips sealed. Now all eyes will be focused on the apex court. Will it pressure the government to remedy a mess largely of its own creation?